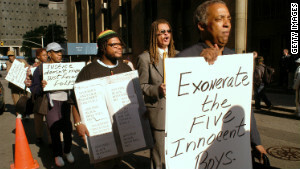 The case of the Central Park Five – evidence of a racist society? I argue that USA today is one of the least racial supremacist societies in history. A civil lawsuit against the city alleged that the men’s convictions were racially motivated and that their confessions, upon which convictions were largely based, were coerced by law enforcement. Note that these are two separate allegations: “racially motivated” and “coerced by law enforcement”. Obviously, their confessions were coerced – they wouldn’t have confessed to something they didn’t do otherwise. “Racially motivated” is a more difficult charge to prove.